Massachusetts Gov. Charlie Baker is calling on the mayor of Fall River to step aside following his arrest Thursday on fraud charges. "Governor Baker and Lt. Governor [Karyn] Polito believe that in light of these serious allegations, Mayor Correia should act in the best interests of the people of Fall River and step aside until the case is resolved. Ultimately, it is up to residents and voters to decide who is best fit to lead the city," a spokesman for Baker said Friday. 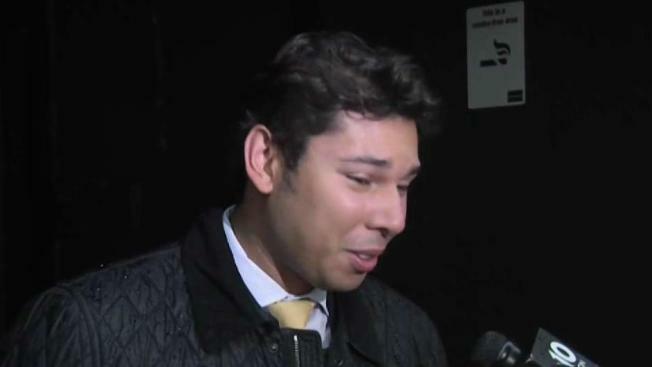 Fall River Mayor Jasiel Correia returned to work Friday, a day after pleading not guilty to charges of wire fraud and filing false tax returns. He said he does not plan to resign. Correia was recently among 10 Democratic mayors in Massachusetts who chose to endorse Baker for re-election in November over Baker's Democratic challenger, Jay Gonzalez. MassLive reported that Baker's campaign has since removed the endorsement from its website and is donating $500 in contributions they received from Correia to the relief fund set up for victims of the Merrimack Valley gas explosions. NBC10 Boston caught up with Correia as he walked into work Friday morning. He didn't want to answer any questions about the charges but did have a message for Fall River residents. "I love each of our residents and I thank them for electing me and I will continue to serve," he said. "That’s what I'm gonna do." The mayor told NBC10 Boston it was just another day, despite his arraignment in federal court 24 hours earlier. "Business as usual. A little more challenging, but back to work," Correia said. 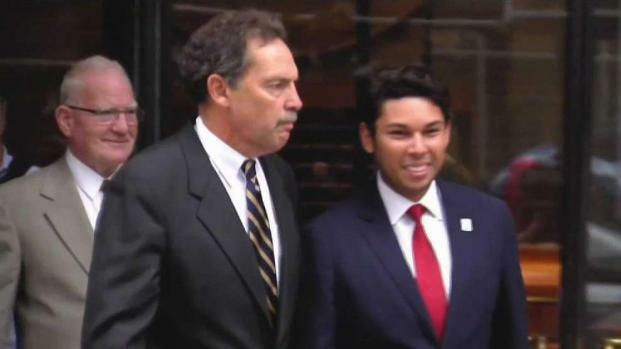 On Thursday, Correia was all smiles as he exited Moakley Federal Courthouse in Boston following his arrest for allegedly defrauding investors. He gave a thumbs up as he left court and said he will not resign despite facing federal wire and tax fraud charges. He pleaded not guilty and called the allegations "bogus." The mayor of Fall River proclaimed his innocence online and during a press conference after he was arrested and charged with fraud. 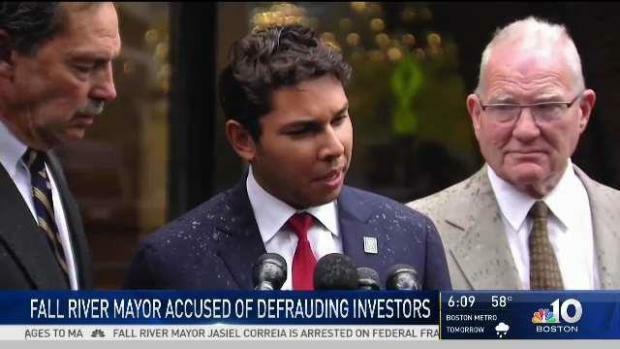 The young mayor is facing nine counts of wire fraud and four counts of filing false tax returns, according to U.S. Attorney Andrew Lelling. Correia collected more than $360,000 from investors to fund his SnoOwl app in 2012. The app was advertised to investors as a platform that can connect them to local businesses with targeted consumers. Correia, 26, allegedly stole $231,447 of the funds to provide for his "lavish lifestyle," according to federal authorities. The money was allegedly spent on designer clothing and jewelry, paying off the mayor’s student loan debt, funding his political ambitions and making charitable donations in his name, officials said. Authorities also said Correia spent the money on a Mercedes, casinos and adult entertainment. Correia was arrested at his home Thursday morning in a joint effort by the Federal Bureau of Investigation, Internal Revenue Service and the U.S. Department of Housing and Urban Development. After his arrest, Correia proclaimed his innocence. "I want to reassure all of my constituents that these unfortunate circumstances will in no way impact the functioning of city government, or my commitment to work as hard as I possibly can, every day, to represent the citizens of the great City of Fall River,” he said.